Celebrating youths is our passion at Rise Networks and for this week, our gem is Hauwa Ojeifo. Hauwa is a 25 year old indigene of Edo state, she is a fashion designer, a life, mind and mental coach and professionally, she is a financial analyst. She studied Business Administration (international business) at Bells University Ota, Ogun State and then got her Master’s degree from the ICMA centre Henley Business School, University of Reading UK. She also has a professional certificate from Fashion Institute Malaysia. Despite having a great life, Hauwa has been through turbulent times. 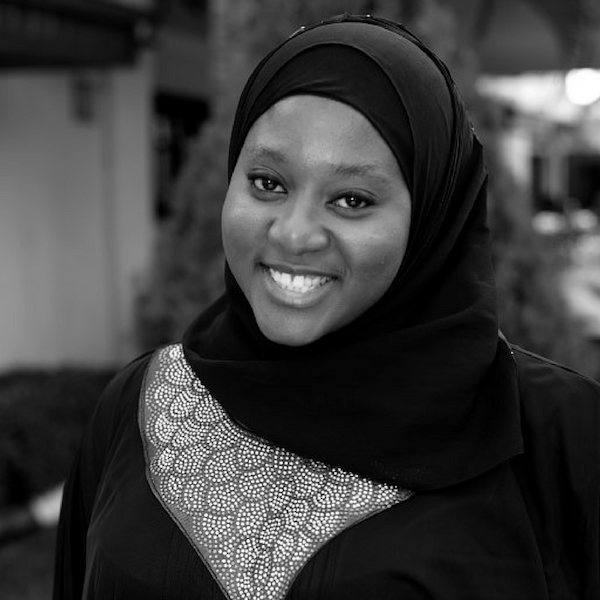 In 2015, she was diagnosed with bipolar and post-traumatic stress disorder, facing this issue all on her own without any major support to help her pull through, Hauwa then started the ‘She Writes Women’ movement in April 2016 which posed as a channel through which she could express herself and help other mental health problems. The She Writes Women movement aims at helping and supporting women suffering from mental disorders. In July 2016, the movement successfully created a helpline that functions 24 hours a day, 7 days a week. Hauwa, having experienced this, speaks as a voice for women with mental health problems. Her movement does a lot, which ranges from providing monthly support for mental patients, providing therapy, and help from counsellors, coaches and psychiatrist and also pay visits to abandoned patients of psychiatric hospitals. Besides the She Writes Women Movement, Hauwa also owns the Mariam Moussa creation, a fashion enterprise which she started in the year 2010. Recently her effort to change lives and provide help was recognized by the Queen of England and for this she was a recipient of the Queens Young Leaders award, and interestingly she was the only female Nigerian. Hauwa has partnered with some organizations like Wiki loves women in order to reach more women and also create awareness about mental health problems while at the same time trying to end the stigma associated with mental disorder in Nigeria. We appreciate Hauwa Ojeifo for her active contribution towards making lives in her community better and we are also saying congratulations to her for the award. Keep up the good work.